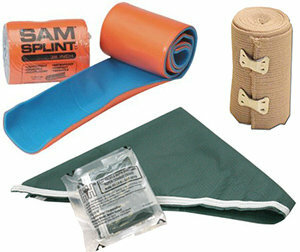 One of the common things a lot of preppers miss is a good SHTF first aid kit. Sadly, they don’t even realize it. That’s because most people have a $29.95 first-aid kit they picked up at the local pharmacy or department store and so think they’re covered. But that’s not enough to prepare you for emergencies by any means. That’s about enough to take care of cut fingers and skinned knees, that’s it. Unless you’ve made your own SHTF first aid kit or bought a good trauma kit, you probably don’t have anywhere near what you need. That might even be true if you have a good trauma kit. You see, for survival purposes, a SHTF first aid kit has to have extensive breadth and depth, and most commercially available kits don’t have both. What do I mean by breadth and depth? Breadth means being able to take care of a wide number of different injuries, including serious injuries (trauma). A good trauma kit will have that, but the local pharmacy version won’t. Depth means that you can take care of several of those serious injuries with the supplies that are included in that first aid kit. Even the best trauma kits have trouble in this, unless you actually buy one that’s intended for use by a paramedic or EMT. During a time of crisis, medical facilities tend to get overcrowded making them almost impossible to function. Just take a look at how hospitals looked during Huricane Katrina. On top of that, there can be a problem in even getting to your local hospital or clinic. So, having that well-stocked SHTF first aid kit can very well be a lifesaver for someone in your family. Please note that the first-aid is just that. 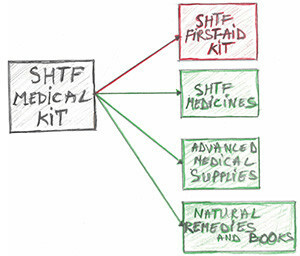 A SHTF first aid kit is not a complete medical kit (as seen in the graphic). All you are doing with first-aid is keeping things from getting worse or deadly. That’s good, in and of itself, but it may not be enough. 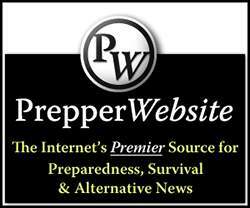 This article is about building the SHTF first aid kit. If your interesting in “SHTF Medicines” you may want to read this article. “Advanced Medical Supplies” are for doctors or people trained to use them. For example a good medical supply would be adrenaline. But used by an untrained person, instead of helping someone may even cause his death. If you’re interested in”Natural Remedies and Books” you may want to read one of these articles or simply download my book with all 68 plants that will substitute drugs when there won’t be any. To start with, you need something to use to put all this stuff in. It needs to be something that you can organize the contents in well, so a case with lots of dividers or small compartments in it is ideal. 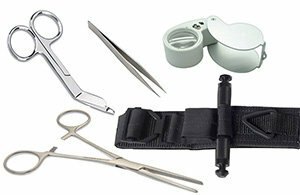 Many trauma kits come in a soft-case, which is easier to take along with you. But it’s hard to find a case like this that’s large enough. I have a first-aid kit I built in a roll-up shaving kit, which I keep in my car. But that’s not big enough for my main SHTF first aid kit. My main kit is in a large fishing tackle box. The cantilevered trays provide a great place to organize the small items and the open bottom of the box gives me a good place for the larger stuff. This makes for an easy to grab kit, which I can take where it’s needed. It’s also very easy to work with, mostly because the case makes it easy to organize everything. 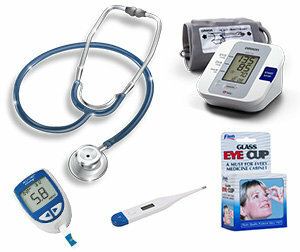 I highly recommend going with quality medical supplies and only quality medical supplies. This is another problem I find with most commercial first-aid kits. Rather than using the highest quality supplies they can, they use the cheapest. This makes a difference, like when it comes to keeping a bandage in place. If it’s not quality, chances are, it will come off when you don’t want it to. Most wounds don’t kill directly. About the only way a wound can kill directly is if a major organ is damaged. Typically, they kill by allowing the patient to bleed out or by infection. Bandaging is supposed to stop the bleeding, but if the wound isn’t kept clean, the patient can still die of an infection. For this reason, it’s extremely important to keep the wound and the surrounding area clean. 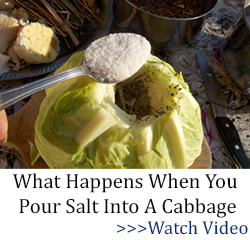 That also means keeping yourself from introducing any bacteria into the wound. So, you’ve got to clean up your own act, before treating the patient. 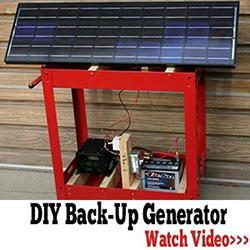 This also helps protect you from any infectious diseases they might have. 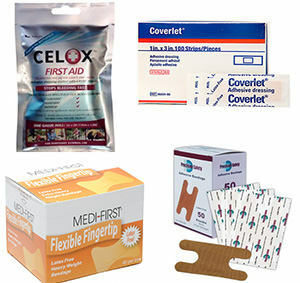 The majority of what a SHTF first aid kit is designed to deal with is flesh wounds. This means anything from a paper cut to a severed limb. 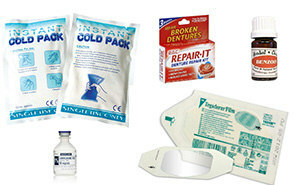 In all cases, your purpose in providing first-aid is to stop the bleeding and protect the wound. Depending on the size of the wound, this can require many different things. 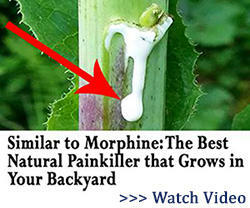 Related: Best Natural Firs Aid: Stops Bleeding in 10 Seconds! 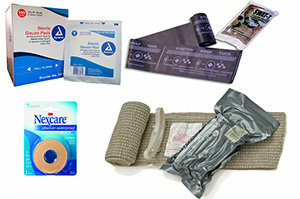 Large bandages – Stock some 4″x 6″ and 2″x 3″ sterile gauze pads for dealing with medium sized wounds. These will not have adhesive on them. If you don’t have these, and if it’s an emergency, you can substitute them with sanitary napkins. Medical tape – For use in holding those bandages in place. The newer “cohesive tape” works much better, sticking to itself, rather than to the patient’s skin. No pain of pulled out hairs when removing the tape. 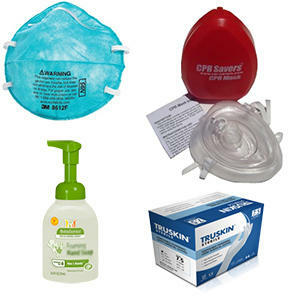 You definitely need some of these in your SHTF first aid kit. As you can see, there is a lot here. That’s partially because of needing different sizes of bandages for different types of wounds. But at the same time, you can literally use half the items listed here for one wound, if it is a serious one. Broken bones fall into two general categories: fractures and compound fractures. A compound fracture is when the end of the bone sticks out through the skin. In such cases, the fracture needs to be treated and the open wound needs to be treated. A simple fracture eliminates the need to treat the open wound, leaving only the broken bone to treat. You’re going to need a few tools to work with, both for treating trauma and for simple diagnosis of disease. While you and I aren’t trained medical personnel, a few tools can make a lot of difference. There are many different things that you may want to consider adding to your SHTF first aid kit, such as over the counter medicines. It’s not my purpose to discuss those here, but take a look at the things you use regularly and make sure you have a good stock of them. Anti-inflammatory medicines – I’m sure there are over 25 brands to choose from. 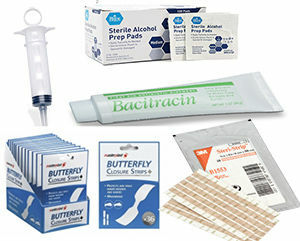 But because we are talking about an SHTF first aid kit, I’m thinking that you might want to add something with at least medium effects like Diclotard. I realize this makes a rather extensive list, but really it’s just the basics. Things that can be used without medical experience. Otherwise the list would have included a lot of things like Hydrocortisone, Chlorphenamine, Antihistamins. Adrenalina and a lot more! At a time when you can’t just call for an ambulance, there’s a good chance that you’ll need every item on this list. While I hope that isn’t so, I’d rather see you prepared. You can substitute bottled isopropyl alcohol on 2×3 gauze pads in lieu of alcohol wipes. IPA comes in 3 strengths at the local pharmacy, 30%, 60% and 90%. 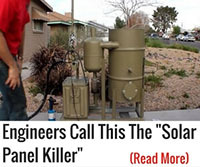 You need at least 60% in order to kill bacteria. 30% is just for use as a fever reducing wipe. You might have to look harder for 90% but some drug stores carry it. Quik Clot has to be cleaned out of the wound once the bleeding has stopped. The instructions say to have the task performed at the hospital. If trained medical help is not available you will have to do it. Instructions are not included with Quik Clot on how to clean it out of the wound. I suppose irrigation with sterile water would do. A really good book is “Survival Medicine by Dr. Ryan Chamberlin. It talks about how to actually do simple medical procedures. It doesn’t end every instruction with “Seek Prompt Medical Attention.” The book pre-supposes that “Prompt Medical Attention” just is not going to be available. Short of medical textbooks, I think it is the best really practical field medicine book I have found. 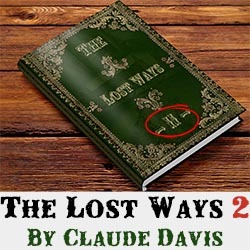 It is in my SHTF medical kit as my go to reference book. Betadine is used for cleaning wounds, benzoine is used to make adhesive (butterfly closures) adhere better. I would recommend against electronic BP monitor. Get a real cuff and learn how to use it. Where do you get the injectable lidocane from, for like numbing are to stitch someone up? Is is a prescription med only? Sterile gloves are only used for surgery, sterile procedures and very extensive already clean wounds. Regular gloves are best taken out of the box and packaged in small ziptop bags in pairs to prevent the rest of the box from being contaminated. If you pack them by laying two together, folding them in half and tightly rolling them, you should get most if not all back in the box if you wish. This also makes them easy to pack for EDC. Notify me of followup comments.